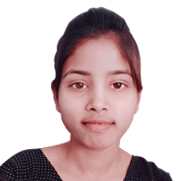 Vaishnavi Goud is very much interested and her dream is to work with the people in developing the society and to build network. She holds Diploma in Electronics & Communication Engineering from Sudheer Reddy College of Engg & Tech (Women). After that she pursued Susandhi Fellowship in Deshpande Educational Trust to know her ability and to improve skills to move forward in her life. There LEAD has inspired and made her to know that LEAD is the best platform to fulfill her dream and that made her to work with LEAD now.